I use the Avon Skin-so-Soft too, but the lady in the NTS shop in Dunkeld assured me that the very best thing is to get basic citronella oil and rub that on any exposed skin. I've still to test it out, as I do tend to try avoid midgies if at all possible! I always use Smidge (i promise my nickname is not named after it) which you can get right across the Highlands. Works for me. I have a reasonably high tolerance but Avon works for me. I've also been reliably informed that eating Marmite sandwiches for a couple of weeks beforehand is effective ?! There are some more tips on my blog here. I've also been reliably informed that eating Marmite sandwiches for a couple of weeks beforehand is effective ?! Never heard that one before... will give that a try! Some great midgie tips there on your blog @Ewan. I was told that when passing through a swarm of midgies to put my hand up higher than my head and hold my breath to discourage them from going right into my face and mouth. Apparently they are attracted to the highest warm spot on the body. Anyway, I'm sure we've all done the freestyle midgie dance in desperation. I put marmite on my shopping list this week as I usually get bitten pretty bad so willing to give anything a go! Will also try the breath holding/hands up high thing @VisitScotlandJulie. Skin so soft for me too, works like a miracle although I did hear recently that Avon have changed the formula and it no longer repels the dreaded midgies. Hoping that's not the case. Hate the wee blighters. 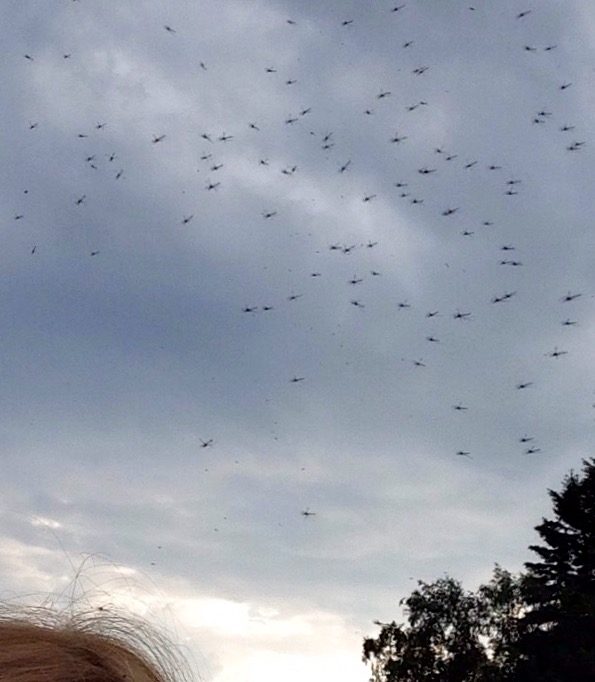 I was sitting enjoying my fish supper at Duck Bay, on Loch Lomond, the other night when I looked up to find a swarm of midgies hovering above my head. I feared the worst but for some reason they left me alone!!! Have I discovered a new midge repellent in fish and chips....?? Wow @VisitScotlandAngela, they sure are big midges! I wonder what the Duck Bay midges feed on....? I'm a recent convert to a midge net with hat - although they don't bother me as much as some, this just helps stop them crawling all over you. I also found a very effective repellent from Aldi that is cheap, so definitely on the shopping list from now on. We like the Lifesystems Midge/Mosquito head net. Its a pop up hat which includes a net. Folds up and fits into a small bag when not in use. I was speaking to a lady today who told me that garlic powder is her go to repellent - she eats a spoonful a day for three weeks before she comes up to Scotland and it has apparently made such a difference!!! We took Avon's Skin so soft but was told that the ingredient in it which repelled the midges, was removed, so it's not effective anymore. 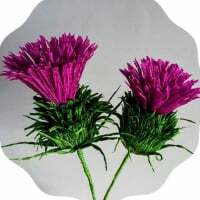 @VisitScotlandHeather Looks like there might not be as much need for midge repellent after all - according to reports in the media, there have been a significant drop in numbers this year ! Hurrah! @John_WelcometoFife @Gilly @Margaret I'm off to Bute at the weekend, going to try out Smidge for the first time - will let you know how it goes! It might not be necessary at all though, as I see the Midge Forecast says there aren't any around there at the moment. Will see if it's accurate! We use Smidge. Good at keeping midges, flies and (my most hated) cleg at bay too. 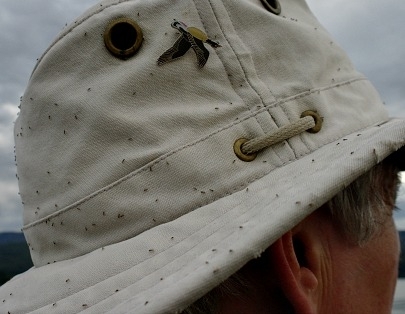 (Pictured here) Midges landing on Gilbert's trusty Tilley hat in quite big numbers, near Shieldaig, Wester Ross. @VisitScotlandAlison I have always read that you should avoid using pure citronella oil on your skin. It can cause skin irritations or allergic reactions - need to dilute it a bit first. Good luck! I once went on a guided tour of the Botancis in Edinburgh and we were told that bog myrtle is a midgie deterrent, but might stick with the Avon - at least I know what the bottle looks like! My main problem with midges only occurs when I am on the West coast- then I have to use liberal applications of Jungle Formula insect deterrent (IT WORKS !). When I am on the East coast,especially the Moray Firth between Nairn and Fraserburgh,I can walk around without a shirt for a fortnight without ever getting bitten. A very cold winter followed by a dry spring will normally reduce the problem in most areas. I live on the Isle of Skye and know only too well about the dreaded midge. But it's not just Scotland that has them. I quote from an article that I read recently, 'Midges are a group of insects that include many kinds of small flies. They are found (seasonally or otherwise) on practically every land area outside permanently arid deserts and the frigid zones'. The reason I think they are bad in some areas is because they breed in boggy or stagnant water. I use a midge hood. Very effective. Just back from Bute pleased to report that there were no midges until the last night, and even then they were very few. Amazon has come great deals on Avon Skin so Soft and also the plug-in midgie repellent. I cannot post links but if you have a search you should be able to find them.